Many extreme sports have a lack of gender diversity when it comes to professional competition. In the adrenaline-pumping sport of bicycle motocross, or BMX, male and female stereotypes on the track are being shattered. What has been considered a traditional male sport is now seeing increased female participation in the general population and an increase in professional, talented female BMX riders going head-to-head on the BMX circuit. 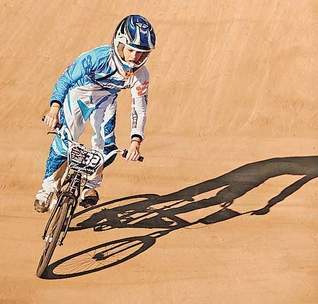 Enter Brooke Crain, an 18 year-old star in BMX racing who is currently ranked number one in the world in the Elite Women’s BMX Class. So how did Crain, who admits to crying the first time she saw a bicycle as a six-year-old, go on to become the best rider in her field? Speaking of her first encounter with a bicycle, Brooke Crain said she was given one by her father and had absolutely no desire to use it. After that day, her father was not pushy about her attempting to ride it and not long after, Brooke was hooked to it. It was not long before her friends and family began to notice her innate talent on a bicycle. Fast forward a few years and Crain is standing on top of the Women’s BMX world. So what do other riders have to say about Brooke Crain? There can be a lot of tension in many extreme sports, so it was surprising to find that everyone had nothing but good things to say. Tony Hoffman was optimistic about her future and said that due to her young age he believes that she will be able to achieve anything she sets her mind to in the future. Other riders commented on her humble nature, saying it sets her apart from many others because of her dedication and respect for her talent and the sport. Brooke is not shy about what is next on her plate. She has her sights on representing the United States at the London Olympics in 2012. 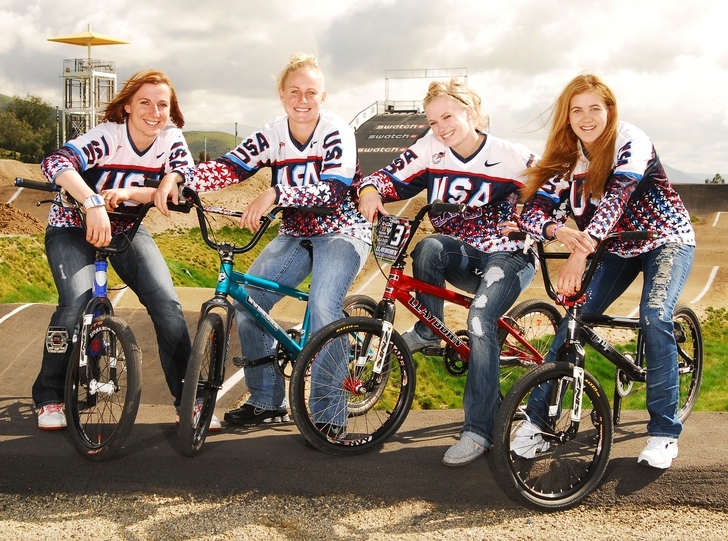 BMX was added to the Beijing Olympics in 2008 for the first time. Crain says that the event and publicity around it were weak. “It was only like two minutes long” and “There was like no coverage for it at all” sum up Crain’s opinion of the event. Nevertheless, she now wants to be a gold medal winner in BMX, providing a role-model to many young girls who like extreme sports. Brooke Crain is very likely to continue to advance in the BMX circuit and her influence only continues to grow. With the best years ahead of her, she has ample opportunity to continue to inspire females to break traditional gender roles in the world of sports and achieve whatever they set out to do. Keep an eye out for her the next time you are at a BMX track and you may just get to see what the entire BMX circuit has been talking about for months! This entry was posted in BMX, Land Sports, News and tagged BMX, Brooke Crain, Olympics. Bookmark the permalink.